The NCAA Tournament for car guys is brought to you by CarBuzz, the #1 application for automotive news. Words by Phillip Harbor. The Sweet 16 of the 2012 BUZZ Car Madness competition is halfway done and the Mid-Majors are about to take the stage. The best new model of the 2012 Geneva Motor Show is slowly coming into focus with some favorites going through and some big upsets taking place. To recap, the Performance bracket winners from the last round were the #1 Seed Ferrari F12berlinetta, #2 Seed Koenigsegg Agera R, #4 Seed Bugatti Vitesse Roadster and the #6 Seed Brabus Bullit C-Class Coupe. 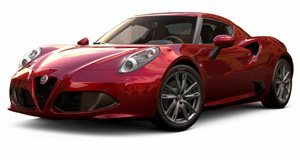 Sweet 16 - Game 5: #1 Seed Touring Superleggera Disco Volante vs. #8 Seed MINI JCW Countryman As a quick refresher, the Touring Superleggera Disco Volante is based on the Alfa Romeo 8C Competizione and features a longitudinally-mounted 4.7-liter V8 engine that delivers 450hp and 354lb-ft of torque. The MINI JCW Countryman&apos;s 1.6-liter twin-scroll turbocharged 4-cylinder engine with 211hp and 207 lb-ft of torque features a short-time Overboost function pushes up that torque to 221 lb-ft.The MINI has some nice looks and its black and red finish set it apart from its peers. 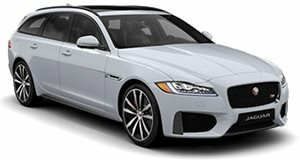 Sweet 16 - Game 6: #4 Seed Jaguar XF Sportbrake vs. #5 Seed 2013 Porsche Boxster The new Jaguar XF Sportbrake is the wagon of dreams, it&apos;s just a shame we won&apos;t receive it in the U.S. It generated plenty of attention during the build-up and subsequent unveiling at the 2012 Geneva Motor Show for its beautiful backside and pair of diesel engines (displacements of either 2.2- or 3.0-liters). The all-new 2013 Porsche Boxster has made its return in its third generation, featuring either a 2.7-liter flat six good for 265hp or a 3.4-liter flat six in the Boxster S.
Sweet 16 - Game 7: #3 Seed Maserati GranTurismo Sport vs. #6 Seed Italdesign Brivido The Maserati GranTurismo Sport represents something of the &apos;old guard&apos; against the new ItalDesign Brivido. 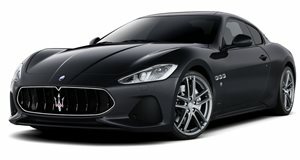 The Maserati utilizes a powerful 453hp 4.7-liter V8 while the Brivido runs a hybrid system featuring a 3.0-liter 6-cylinder gasoline engine paired to an electric motor good for a total output of 360hp. The Maserati features a typical high-quality interior designed for luxury and class while the interior of the Brivido is futuristic and probably not fit for production. Sweet 16 - Game 8: #2 Seed Mercedes-Benz A-Class Hatchback vs. #10 Seed Ford Fiesta ST The Ford Fiesta ST Hatchback is fresh off its victory over the Audi A3 Hatchback and now it takes on another big-time competitor in the form of Mercedes-Benz&apos;s BMW 1-Series fighting A-Class Hatchback. The Fiesta ST packs a 1.6-liter EcoBoost four pot with 180hp and 177lb-ft of torque and should price between $13,200-17,500. 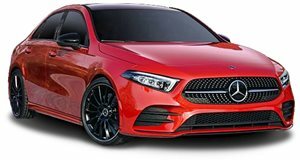 The Mercedes-Benz A-Class Hatchback is a FWD configured model which makes 208hp out of its top-end 2.0-liter turbocharged engine. The Mercedes-Benz A-Class is a luxury hatch, however we here at CarBuzz believe in the classic hot-hatch - a hatch with performance and bare bones essentials developed for a fun and sporty ride. The A-Class loses a bit of soul with all its refinements and the Fiesta ST keeps it in spades. It&apos;s powerful, quick and features plenty of race-specific pieces and parts for a great ride at a very modest price. Mercedes&apos; model is considerably more expensive and all the leather and technology doesn&apos;t save it from an upset. It&apos;s Lehigh vs. Duke and the Mountain Hawks pull a fast one over the Blue Devils. 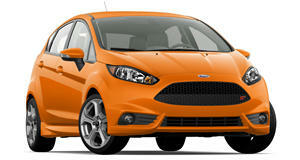 This year&apos;s Cinderella team is the Focus ST, that&apos;s for sure. Winner: #10 Seed Ford Fiesta ST Keep an eye out for the final segment of BUZZ Car Madness, as the Championship Rounds and conclusion of the tournament take place.